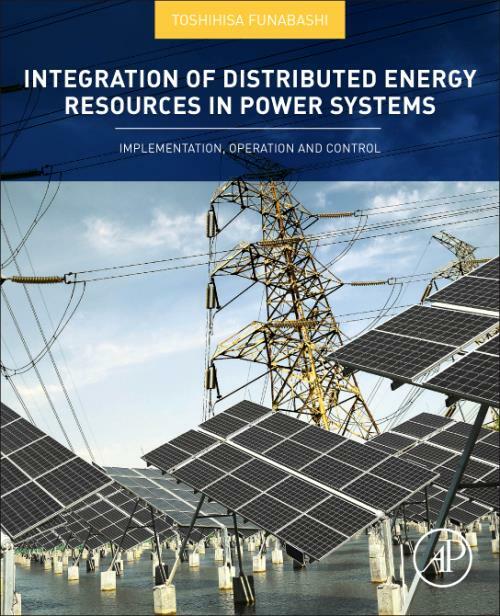 Integration of Distributed Energy Resources in Power Systems: Implementation, Operation and Control covers the operation of power transmission and distribution systems and their growing difficulty as the share of renewable energy sources in the world's energy mix grows and the proliferation trend of small scale power generation becomes a reality. The book gives students at the graduate level, as well as researchers and power engineering professionals, an understanding of the key issues necessary for the development of such strategies. It explores the most relevant topics, with a special focus on transmission and distribution areas. Subjects such as voltage control, AC and DC microgrids, and power electronics are explored in detail for all sources, while not neglecting the specific challenges posed by the most used variable renewable energy sources. Toshihisa Funabashi received the B.S. degree in electrical engineering from Nagoya University, Aichi, Japan, in 1975. He received the Doctor degree in electrical engineering from Doshisha University, Kyoto, Japan, in 2000. In 1975, he joined Meidensha Corporation, Tokyo, Japan, where he was engaged in research on power system analysis and also distributed generation applications in power systems. Since April 2014, he is a professor of Nagoya University, Aichi, Japan. Prof. Funabashi is a Chartered Engineer in the UK, a member of IET, a senior member of IEEE and a member of IEE Japan, as well as member of the editorial board of Elsevier's journal Sustainable Energy, Grids and Networks.